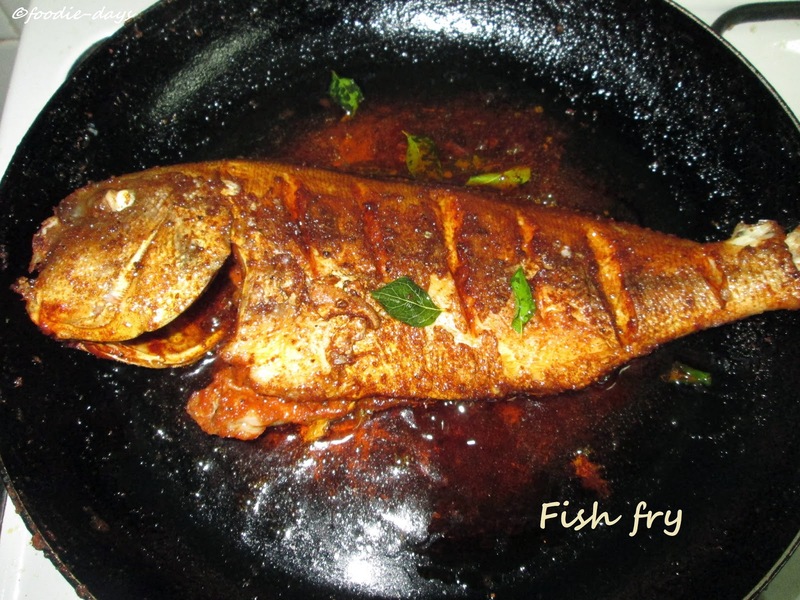 Hi readers yesterday we got a big fish from my hubby's friend.He is also our neighbour.Then we decided to make it to fry.It was a big one... 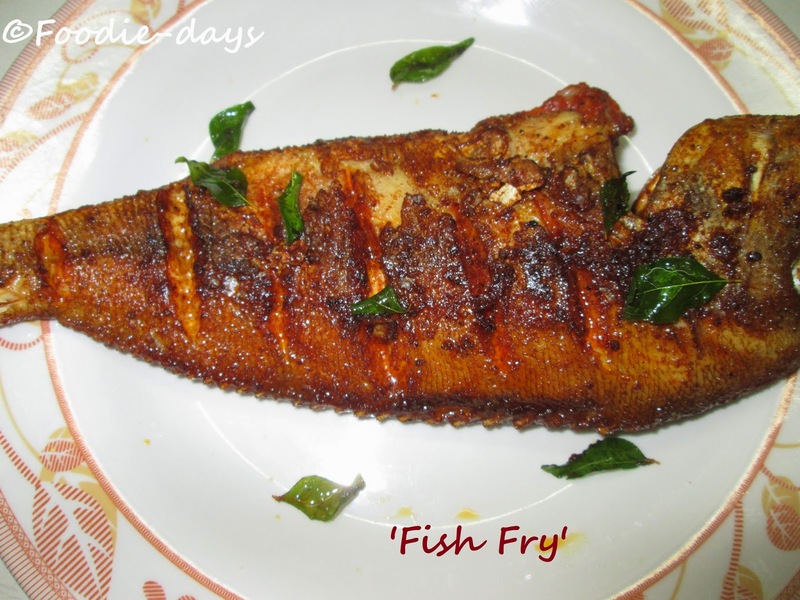 I don't know the name of the fish.I never see that fish at kerala.I think it is commonly seen here.Any way I don't know.Let me share the recipe of that fish fry..It was just awesome.. Do try my recipe..
Fish-1 big(You can use any fish)Cleaned ,washed,make dashes on the surface. Oil-For shallow frying the fish. Initially make a paste with ginger garlic ,turmeric powder,chilli powder,pepper powder,cumin powder and salt. Then marinate the cleaned fish with this paste.Keep aside for 1 hour. Take a pan with oil in it.Heat the pan. When oil is heated slowly put fish in it. Keep the flame in medium.After 5 min turn it over slowly. 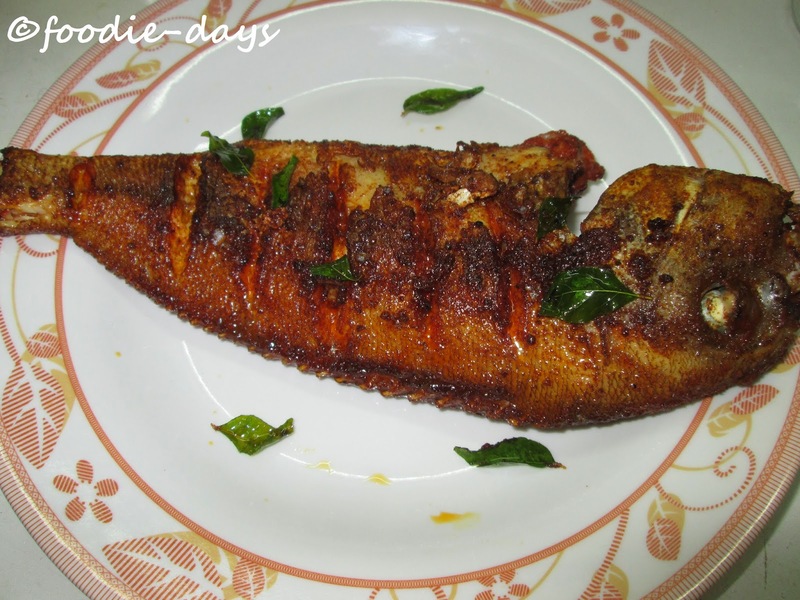 After the fish completly cooked add some curry leaves along with fish.and fry for sometime..
Ready Ready Ready.. Come lets eat..Haha.. Must try this recipe.I am sure you will love..